Moving can be hard. We make it easy. With competitive pricing and a friendly and highly trained staff, we'll get you where you need to go. Get A FREE QUOTE TODAYget fast quality service! Wise Moving Company, LLC is a professional, fully insured and licensed moving company serving the greater Dallas-Fort Worth area. When you move with us, you can rest easily knowing that our moving staff has extensive training in efficient packing and loading. Not only that, but our moving staff has a passion for delivering world-class client service. 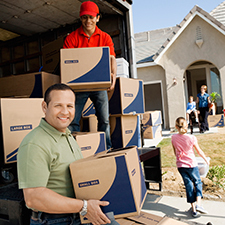 Wise provides flexible scheduling for all types of moves, plus we offer you exclusive use of our moving trucks. Relax, your possessions are in excellent hands. We're the clear choice for local or long distance moving in the Lone Star State. Click here to learn why! Whether you're moving in-state or beyond, we've got a wide range of services to make your move easy. Established in 2005, Wise Moving Company, LLC is a family owned and operated moving company. With over 16 years of experience within the moving industry, we've done it all. From single bedroom apartments to multi-room mansions and everything in between, we've moved virtually every kind of household and office. That's why, due to experienced movers and outstanding customer service, we stand apart from the competition. 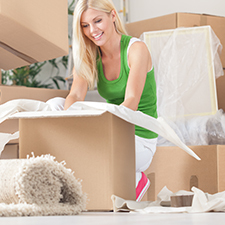 With our packing services, let us take the stress out of your move. We'll pack up a few items, a room, or an entire household, and we'll do it with a smile. We offer local and long distance moving at highly competitive rates, and a wide range of moving services, from specialty moving to furniture disassembly. Need storage for your stuff? No problem! We offer climate controlled or non-climate controlled storage depending on your needs. With over 16 years of experience in the moving industry, we've got the tools and the talent to get you from point A to point B.